This is your day, so make it your own! 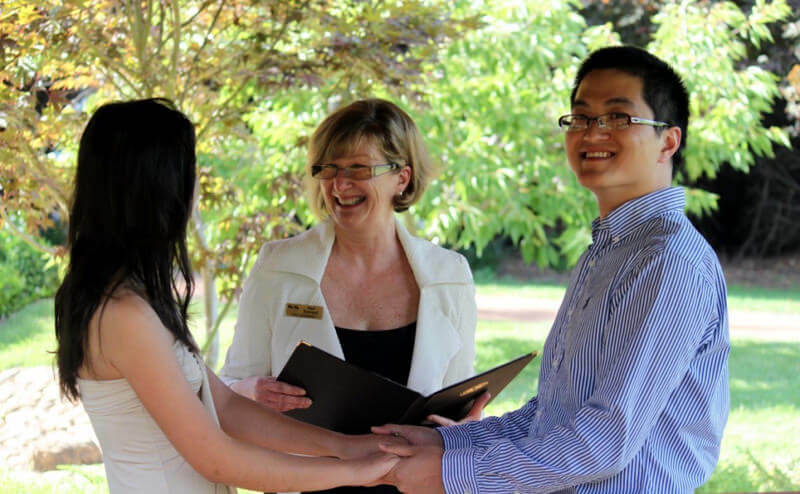 Your family celebrant in the Canberra and Queanbeyan region. If you are looking for a unique beautiful ceremony to celebrate life, whether it be a new beginning, a union or a passing, then you’ve come to the right place. From formal and elegant to fun and quirky, I can help turn your expectations into a reality you will remember forever. Everyone should have ceremonies in life that are personal, that reflect their life, love, beliefs and values. We were so grateful to have Gail as the Celebrant for our mother’s funeral. Right from the start Gail showed compassion, understanding & interest in the life my mother had experienced in her 95 years. Gail was the perfect person to conduct our mother’s service and we couldn’t have asked for anyone more suitable to take on this task. I would most highly recommend her services to anyone requiring a Civil Celebrant. She is such a beautiful lady. Thank you Gail for all you did for our family at such a difficult time. Dear Gail, Thank you again for the beautiful job you did in officiating my mother's funeral. The whole family was very grateful for the wonderful way you presented the service. I really appreciate all the trouble you went to for our family. Many, many thanks. Dear Gail, thank you so much for the service yesterday - I had so many comments on how beautiful the wording of the service was, and how appropriate. That credit goes to your wonderful gift in putting together 'the story'. So many people left the service with a greater understanding of Jason's mental health issues. Thank you again for your wonderful words - the perfect ending to Jason's life. I want to thank you for making your visit on Saturday such a warm experience for me. It was so lovely talking about the cherished thoughts of Ron and our life together. I felt very calm - like that warm and fuzzy feeling one can gets when something special happens in your life. I just wanted to say Thank You for being part of Kyla’s special day on Saturday. It was a lovely ceremony and I think you did an amazing job. Looking forward to meeting you again when we have another baby! Dear Gail I cant say thank you enough! You are a wonderful lady. Thank you so much for the extra time and effort you have given me/us. So very much appreciated. All the best in all that you do so well. “I would like to thank you on behalf of Tony, myself and our children, Jordyn and Matt for the beautiful service today for Mavis” “From only spending a short time with us you captured the essence of Mavis beautifully, and your compassion and empathy for people going through difficult times like these clearly shone through”. “We were very pleased to have a celebrant who took the time to talk to us all, delivering a beautiful, meaningful introduction without taking items out of the eulogy”. “Gail, we were very impressed with the life picture you presented for Mavis in your welcome”. “The service was beautifully done … with such compassion and empathy for us all”. Thank you again. Sheila, Max, Julie, Owen, Ben and Teagen. Dear Gail I have taken a little time out today for quiet reflection after dropping relatives off at the airport. I want to say a very big thank to you for a very moving and peaceful service. I felt you reflected mum back to us well and had obviously listen emphatically to what we as a family felt and said. As you know we have been to the Norwood Park Crematorium 3 times in the past 3 years so there were many people sitting in front of you who were very weary. However I felt a lightness and peace in the service. Thank you so much for driving mum's service with such understanding, allowing us the time to speak, remember her and grieve in such a special way. Your advice, preparation of materials, sensitivity and conduct of the service was very much appreciated. I think that it was a very fitting service which was, in no small part, thanks to your assistance. All the best. Thank you again for conducting our wedding ceremony. It was beautifully done and we were very happy with the whole occasion. Many people commented about the lovely ceremony and your role in making it a special day. 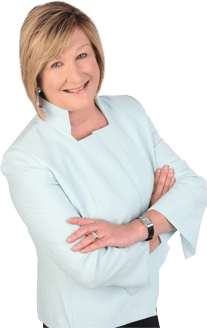 Dear Gail, We cannot thank you enough for your professionalism, guidance and care. This come with much admiration for a woman who has quietly given so much. You are a star! Dear Gail, Thank you so much for being part of our special day. You did an amazing job! We will remember this day and your involvement for many years to come. Dear Gail, Thank you so so much for putting together and conducting such a beautiful service for our wedding day. It was perfect! Thank you for being a wonderful celebrant. Our ceremony was perfectly suited to us. We will be recommending you to everyone! On behalf of my family we want to thank you for the lovely service for Dad. Though you had only known of Dad's family for a week, you really captured the man that dad was in your service. We are all really appreciative of your kindness and caring attitude and helping us with the finer details in the Service. On behalf of the family I want to thank you for a thoughtful, professional and well-delivered service. We appreciated your visiting us at Mum's to gather details about Dad's life and I was impressed with your going the extra mile in your own time to research and add further detail about Sardinia and the 1st Regiment. These are the things that separate those who approach their work in a professional manner and those who you. Again, thank you Gail and best wishes. Thank you so so much for putting together (and conducting) such a beautiful ceremony. Thank you for being our Celebrant, you were truly wonderful – so very organised from the moment we met you! Your soft and calm ways were appreciated by all on the day also. You were beautifully spoken and you dressed so perfectly. We wish you all the best in your role as a Celebrant – we feel blessed that you were recommended you to us. Sending greetings & best wishes. Hi Gail, Would just like to say that you were a pleasure to deal with and I would highly recommend your service to anyone. From start to finish and the way you presented on the day, and calming me down about the rain, made the day go as well as any bride could have hoped. Thanks again! Thank you for making our Wedding Day so special. It was a magic day with close friends and family that we will never forget. Thank you for being our celebrant on our wedding day. Thank you for guiding us through the process and making it easy. We will certainly recommend you to family and friends for future wedding ceremonies.